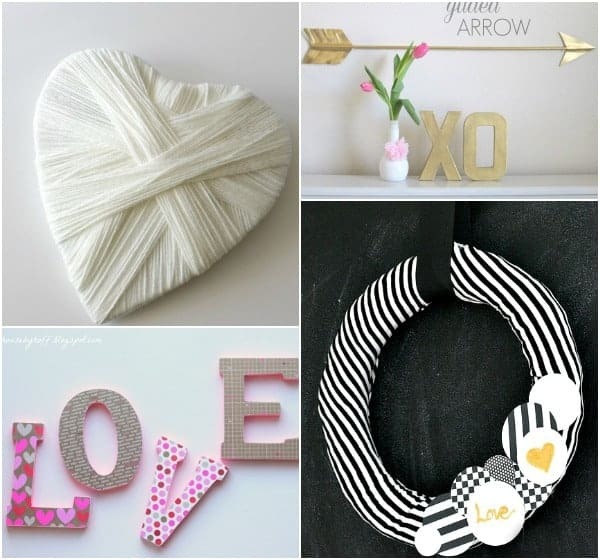 And today I am here to share some easy DIY Valentine’s Day décor: a Map Heart Bunting and lettering. 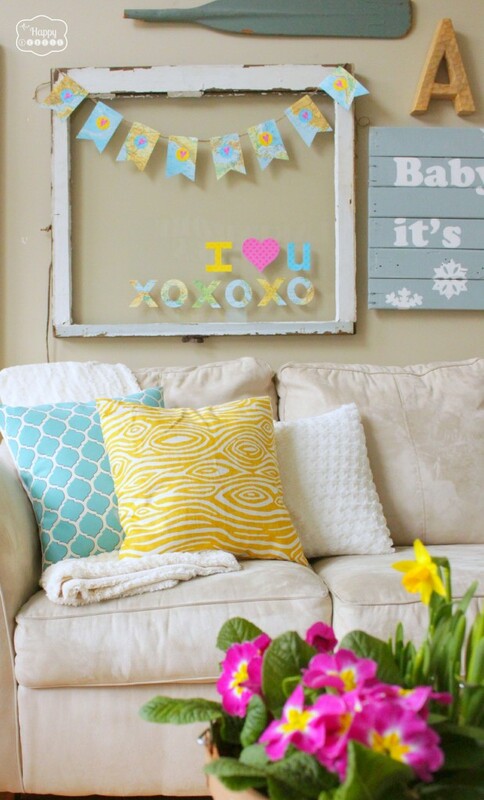 This project added a fresh and cheery feel to the old window in our living room and I just love the way it turned out. 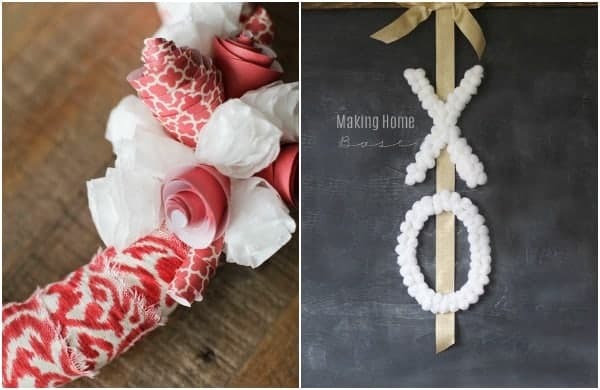 After adding some cheery color to our living/dining room with out Valentine’s Day Mantel décor the other day I wanted to carry a little bit more of the same over into the other half of the room without going OTT (over-the-top) with V-Day décor. So I whipped up this little heart map bunting in a matter of minutes and used it and some lettering cut out of cute scrapbook paper and maps to dress up the old window frame on our living room gallery wall. I used maps that I cut out of an old atlas. I cut them into a bunting shape using my paper cutter and scissors. Then I cut some little circles and hearts out of pretty scrapbook paper and glued them onto the buntings. Then I glued the bunting flags together using some twine and my hot glue gun. Done and ready to hang! Next I cut some letters out of the same maps and scrapbook paper to create the lettering you see at the bottom of the window frame. Done! I love the little bit of brightness it added to what was feeling like a pretty neutral winter living room- and the daffodils and primulas warm my heart every time I look at them. Ready for a little more Valentine’s Day Inspiration? 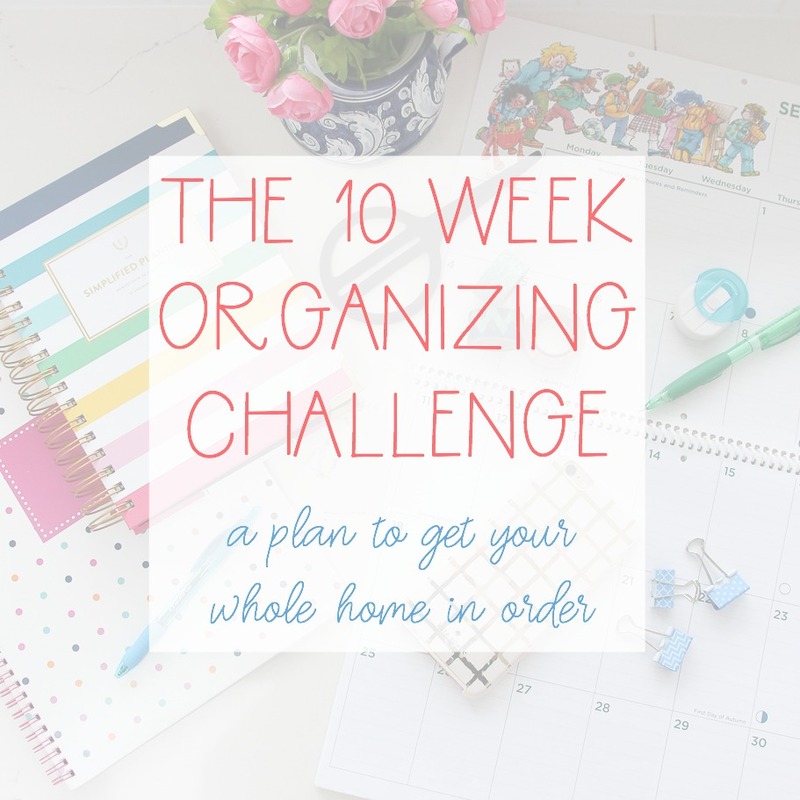 Check out these amazing projects- I can’t wait to hop over and check them out myself! No purchase necessary. To enter, participants must use the Rafflecopter form above. 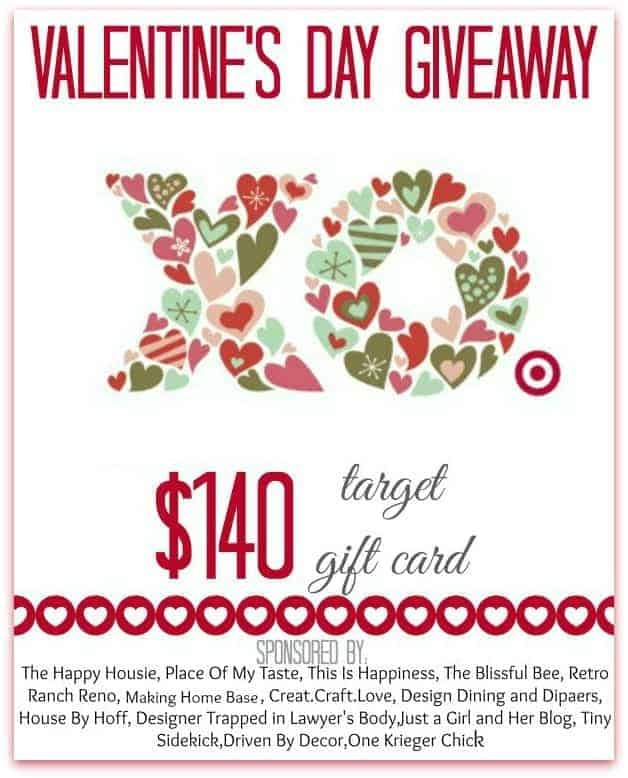 This giveaway is in no way affiliated, administered or endorsed by Target, Twitter, Facebook, Instagram or Pinterest. The giveaway closes on February 14 at 11:59pm. The winner will be notified via email. Winner must be 18 years of age or older and a US or Canadian resident in order to win. Prize is valued at $140. Winners are responsible for paying any necessary taxes on winnings. So colorful! I love a good map project – this is super cute. Love the map bunting. 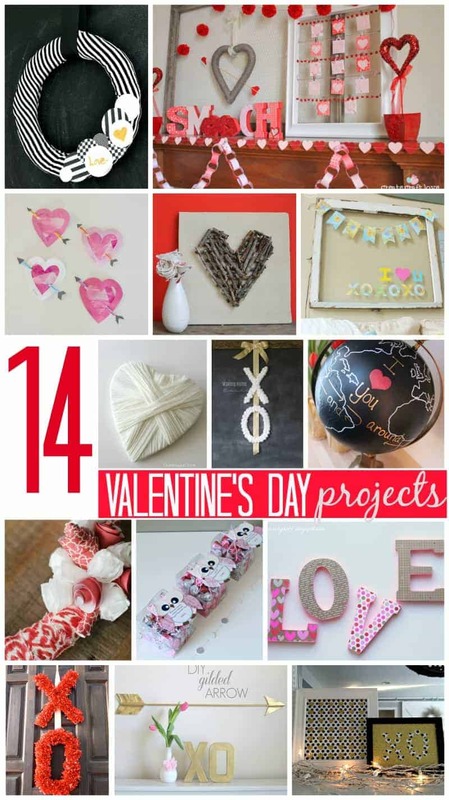 So neat and so many uses outside of Valentine’s Day. Thank you! I think you are right- it definitely could have other uses and not just be seasonal!! I absolutely love the heart map banner! too cute for words! Thank you Shannah:) I have been trying to think of how to re-work it after V-Day because I really love it too! I’m completely smitten with this bunting! Super fabulous. Thanks for sharing such a great idea! Thanks so much for your kind words Amy- glad you like it! I love Target because their designs are so gorgeous and reasonable priced. 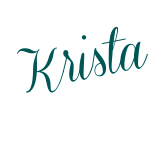 Love, love, love this Krista! I was just noticing our old atlases in the basement the other day and wondering what I should do with them. 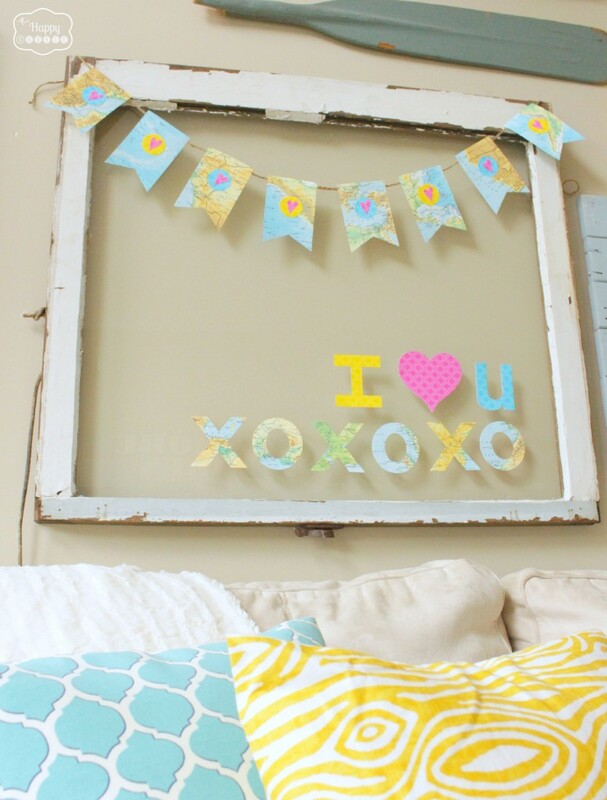 This adorable bunting is such a great idea to repurpose them! Hi Allison! Old Atlases in your basement!? That is a gold mine!! I love using old maps for lots of crafty projects- I just used a bunch in my boys’ bedroom for a cool project I will be sharing soon… and I have used them to decoupage on letters as well (like the large letters from Michaels- we have map letters of our initials hanging on the wall in our dining room). But the bunting was a quick and easy use too. So glad you came by Allison- hope you are doing well:) Have a great weekend! 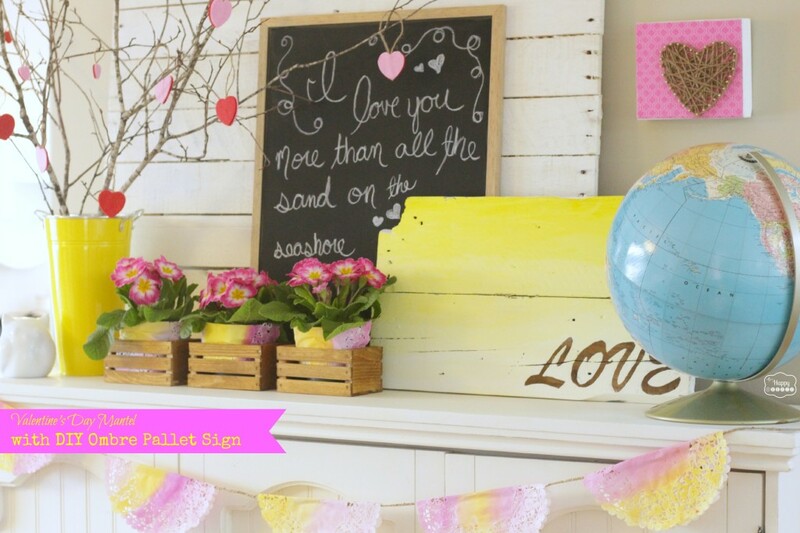 I love that such a simple craft is such cute decor and adds a great punch of color. You have a knack for beautiful, yet easy decor. Pinning! Thanks so much for that great compliment and the pin Laura!! Projects around here have to be pretty simple or I won’t have time to do them. I am working on some bigger projects these days too… can’t wait to share those. Thanks for coming by – and I hope you have a great weekend friend!! I’m at Target frequently. I love all their designer lines. I wish I could go more often- our closest one is an hour away. I might get myself into a little trouble if I went to often though…. good luck on the giveaway! I love their designer collaborations! I agree Dani- and I love the Canadiana stuff they have in their new Canadian stores- I got a cute little ‘beaver canoe’ there recently that I love. I even paid full price which is not like me, I must have reaaaaallly liked it! So cute! I can now make use of all of little man’s maps! Thanks- I think the maps would make a cute bunting for a kid’s room as well- I pinned one like that on my boys bedrooms board. Maps are so fun and versatile- I love the colors! 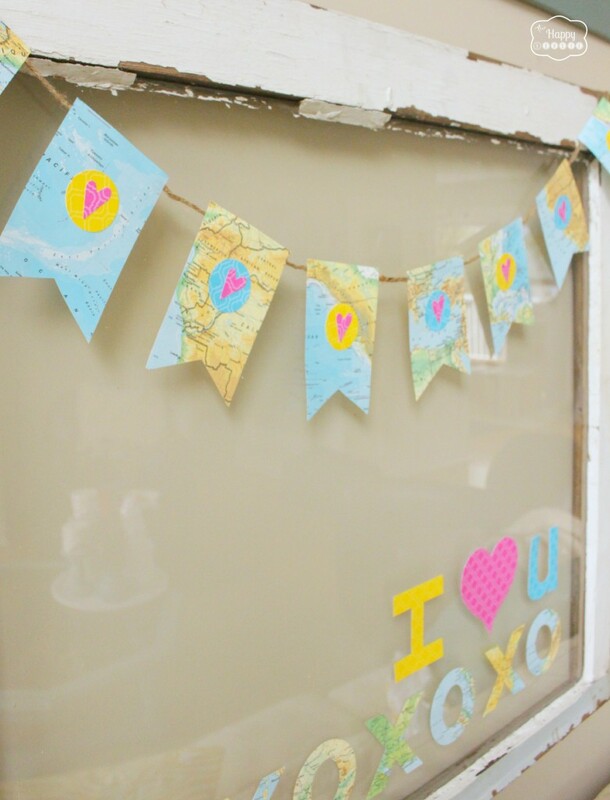 Oh my goodness…my hubby and I LOVE maps and I’m so inspired by this bunting you created…especially on that rustic window. Wow, Krista! You knocked it out of the park. And thanks for the fab giveaway. I’m a sucker for anything Target…especially those dollar bins! They’re like my kryptonite. Aw thanks Lauren- you’re too sweet. 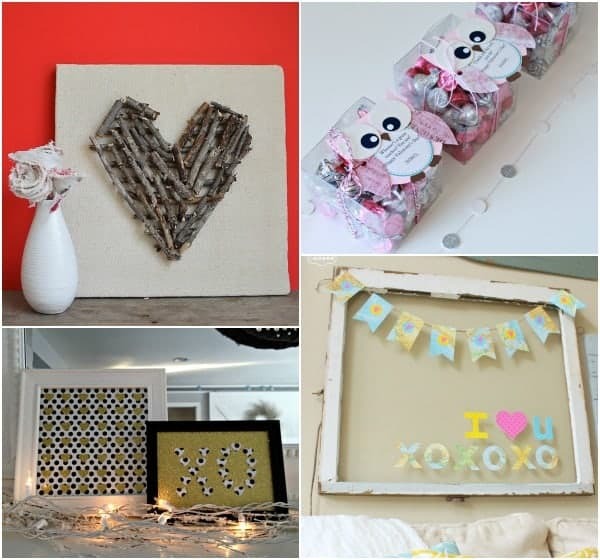 It was a quick and easy little V-day craft which was exactly what I needed it to be…. we are knee deep in some bigger projects that I can’t wait to share. I LOVE your nautical room – we are using some serious nautical influences for our boy’s bedroom too. Have a fabulous weekend! 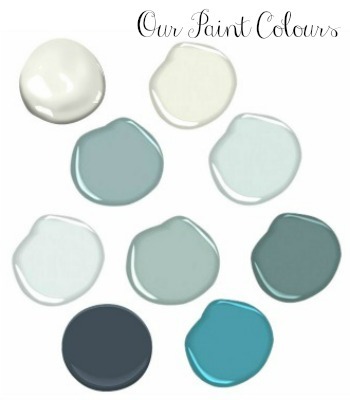 I have loads of windows I could use for this project…I love Target for their great coordinating colors for the home!! I agree Kim- I love finding great clearance stuff that coordinates so well together. Good luck! Hi Christy! Thanks- the bunting was crazy easy. The site was a little more work:) I got some help with switching over to a Genesis Child theme- this one is Delightful by Restored 316. I looked around for quite a while before choosing it- hope I made the right choice:) Have a fabulous weekend friend! I love the maps and the colors! I love Target because they have great clearance prices! I love Target because they have affordable lovely things!!! I can’t describe how much I love it but it would make my LIFE if I got it! Good luck with the giveaway Seida! Love this bunting, Krista! How clever to use the maps – I love how it turned out! 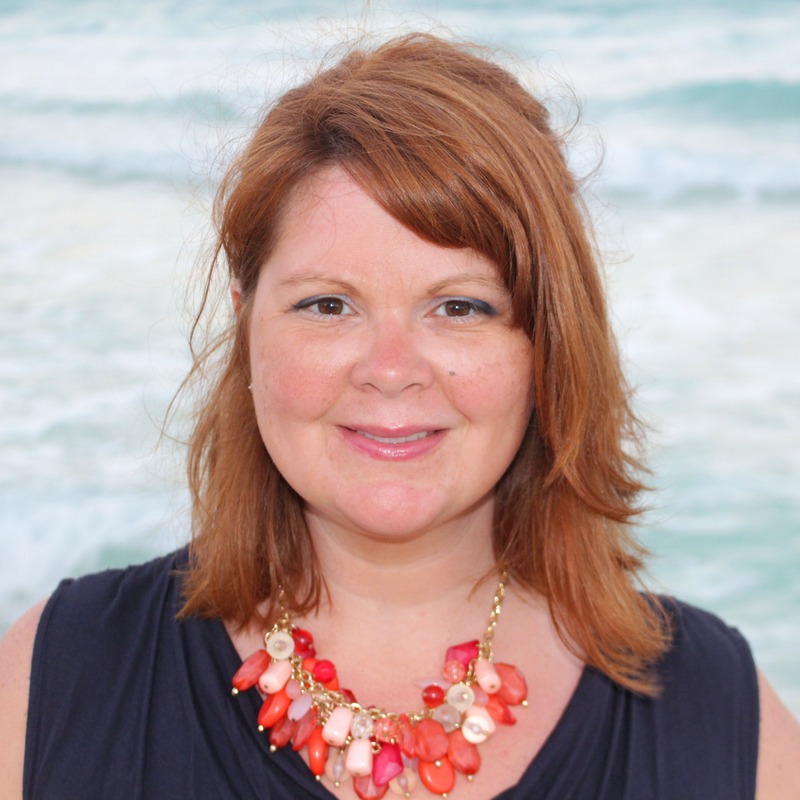 Thanks Tara – quick and easy was the key to this project…. we are knee deep in some bigger stuff that I can’t wait to share:) Have a fabulous weekend friend! Love this! Adore maps. Love your gorgeous throw pillows as well. So happy to be part of this hop! Thank you Becky! It felt good to add a bit of yellow back in – I find it so cheery during the long winter:) Glad to be on the hop with you as well! Hi Krista! Not in a million years would I have thought to use a map to make a bunting with. So clever and cute! Great job. 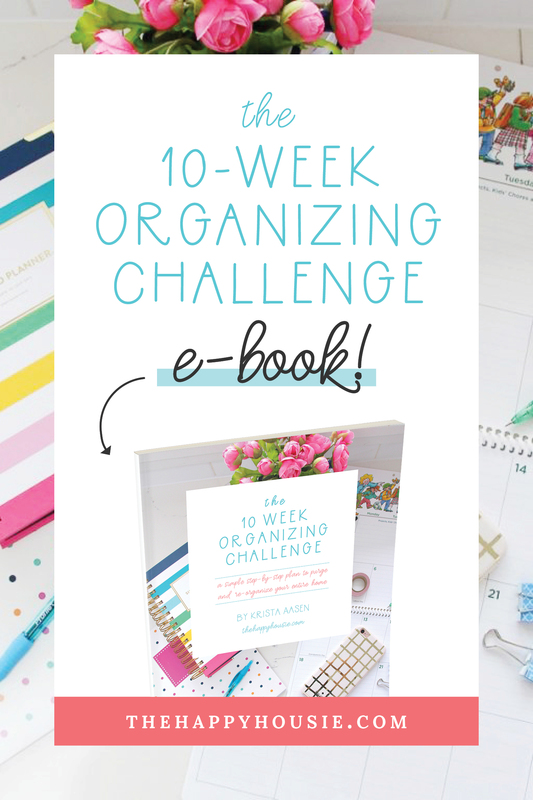 I’m honored to be a part of this blog hop with such a talented group! Thanks Tasha! You are plenty talented yourself there girl!! Have a fab weekend! I LOVE your pillows! Well, actually I love everything. The bunting, the colors, the window! So cute! Thank you so much Melissa! It adds a cheery little touch to our living room and I am loving it too:) Have a great weekend! You are the best with colors! 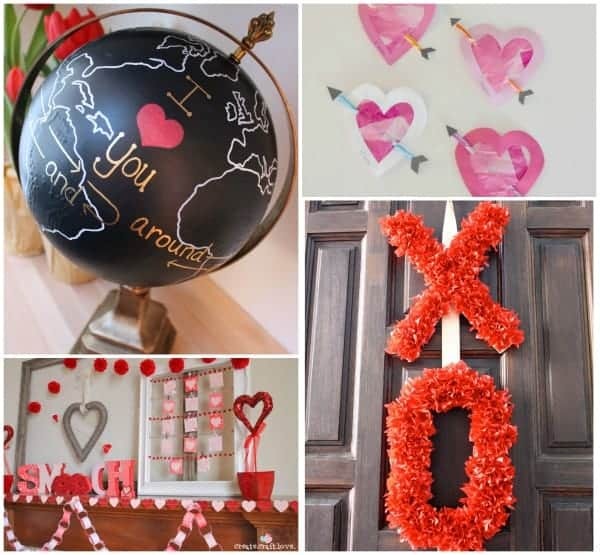 I love how your Valentine’s Day decor is so bright and beautiful! It was a pleasure being on this hop with you, my friend! Thanks Abby:) I actually had gone pretty neutral for January (since I consider blue a neutral- lol) but it was fun to add a little more color in again! I can’t wait for spring! We had -9 here yesterday (that is around 15 F) and we NEVER get that kind of cold – or rarely, at least… so warmth and sunshine sounds pretty great about now (vacation anyone??). Have a great weekend!! I love maps too Chelsea… and globes… I find I can get lost in looking at them because it is always interesting to see where places actually are (compared to where you visualize them in your head)… It can be funny when you collect them from garage sales and thrift shops though because they are pretty out of date! That map bunting is fabulous! 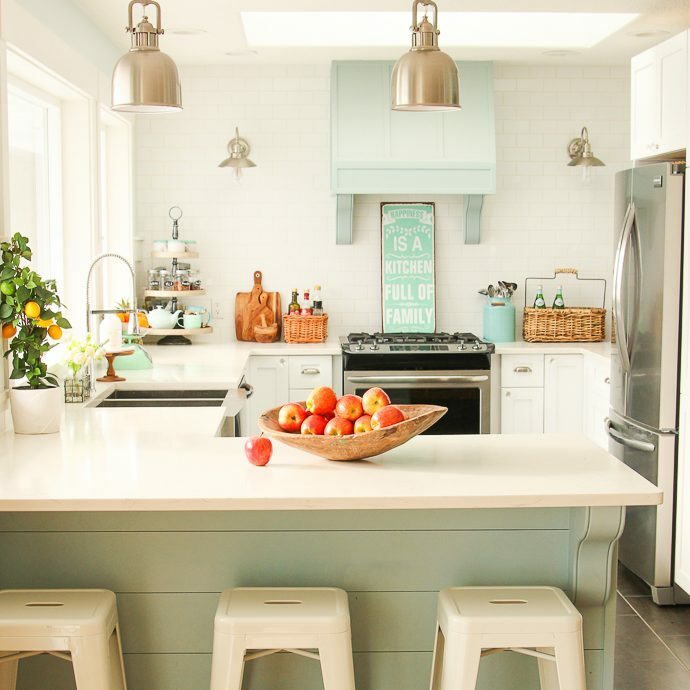 Love your whole color scheme, Krista! Your living room looks so happy and welcoming! Thank you Jill! 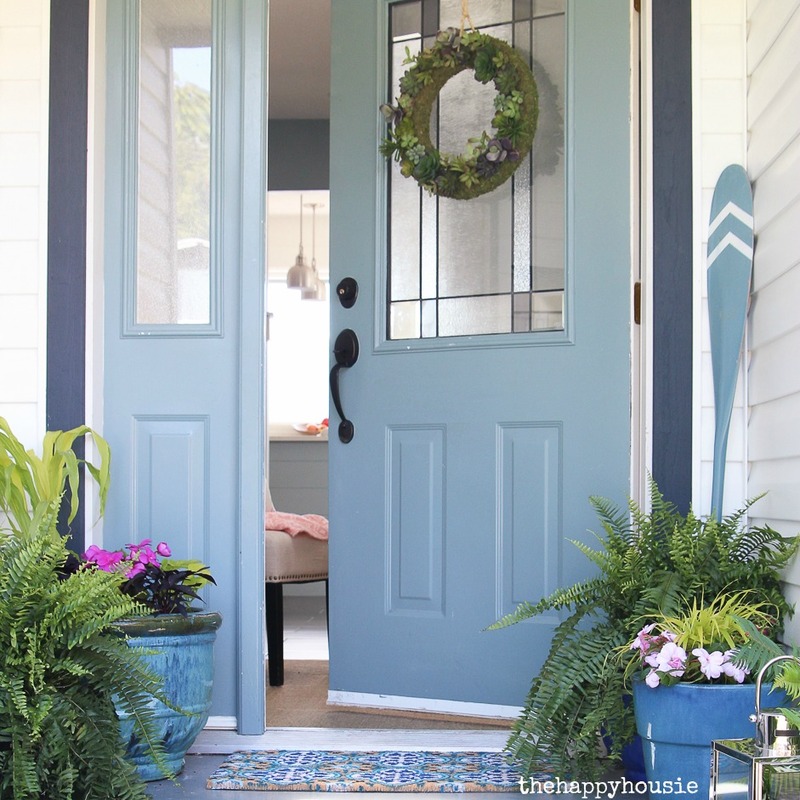 It feels happy and welcoming again – I love color and was thrilled to add some springy color again after a pretty neutral January. Spring is on it’s way, right?! Glad to be on this great hop with you! Now I know what to do with our old Atlases! Super cute and looks perfect on your mantel! I love your new look as well as your easy, yet wonderful project! Glrad to have you in the group today, Krista! Thanks so much Aniko – and thanks for organizing it! Hi April! Thanks – I am pretty happy with the redesign- just a few tweaks needed! Have a fabulous (wintery) weekend! Thank you – and good luck with the giveaway! It would be great to have some extra guilt-free money to spend there! Good luck! I really think that Target has such a great selection of items, especially their home section. Lots of unusual gifts and ideas! They do- I love their home section. Good luck! I love Target! My sister and I visit at least twice a week! I love Target they have great product lines to decorate with at reasonable prices. I love Target for so many reasons! I get my dog’s medication at a decent price there, I can buy any groceries I need while there and I love the Nate Berkus and other home design collections. It is a great one-stop shop! Good luck Beth!